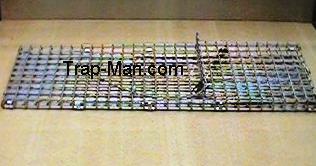 The Folding Humane Live Catch Rabbit Trap should always be sited as soon as damage is spotted. Ideally The Folding Rabbit Trap, should be set out approximately 8mts apart, in a parallel line of traps about 4mts out from their cover, hedgerow, ditch cop etc. The Humane Rabbit Trap can also be sited in open fields where rabbits have been observed feeding recently. Click here to see our built up rabbit trap. 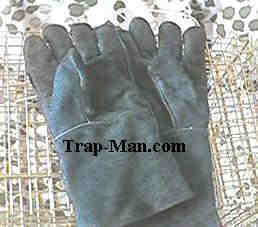 good discounts on large rabbit trap orders. Set the live catch rabbit trap by first holding on to the handle and give the trap a good shake, then pull on the rear panel until it is firm against the rear of the cage. Flip up the secondary lock on to the top of the door, holding the door up against the roof with the secondary lock prongs through the cage roof, with your other hand place the looped end of the setting rod over the marked bar in the roof of the cage, pull the trigger rod towards the front of the cage until the door rests upon it. Sensitivity can be adjusted by bending the end of the setting rod up to lessen the sensitivity or down to increase the sensitivity. Check that the treadle plate is 20mm above the cage floor approx. 30°. Check the treadle does trip the door when pressed, and that the secondary door locks it correctly (on grass). 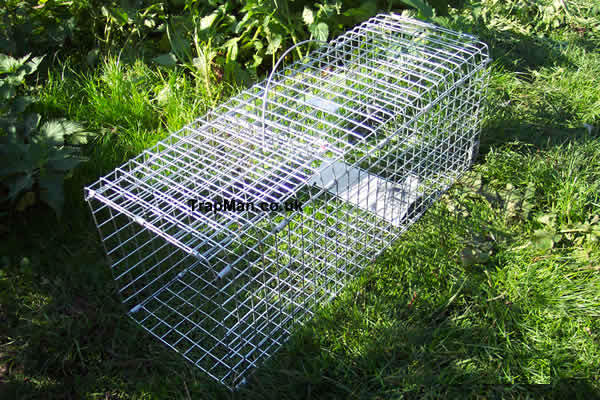 Once baited the Trap Man Live Catch Rabbit Traps MUST be visited regularly and AT LEAST ONCE PER DAY, other non target animals must be released unharmed. The bait inside the trap must be maintained under the treadle under the trap, but the trail of bait out side the trap should not be replaced once the rabbits have started to take it. Rabbits can be removed by slowly tipping the trap onto it's end and reaching in through the now open door or turning the trap over onto it's roof to open the door and let the rabbit run out.